Gold Biotechnology gravity flow, Empty Spin Mini Columns are great for small quantity protein purification processes. Customers may buy bulk resins and then pack their own His-tag purification columns as an economic option. This column serves as a tool for purification using small quantities of resin (100 – 250 µl). It is a single-use format for centrifuge purification. 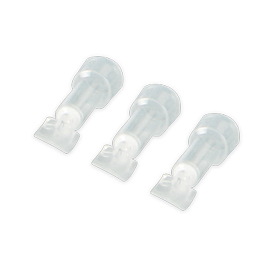 The package contains either 25 or 100 Plastic Mini Columns supplied with their top caps. The Plastic Mini Columns are polypropylene and contain a polyethylene frit with a nominal pore size of 20 µm.